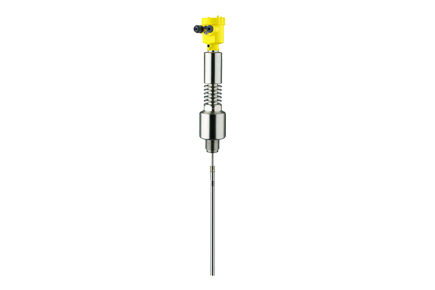 The Vegaflex 86 Guided Wave Radar (GWR) Level Transmitter measures maintenance-free all liquids under extreme pressure and temperature conditions. Even in applications with buildup, foam generation and condensation, the sensor delivers precise and reliable measured values. In saturated steam applications, a special reference probe ensures a density-independent measurement. The Vegaflex 86 offers an economical level and interface measurement for your application.